With the event screen open, in the right hand corner under the “Tools” drop down, select “Notes”. This will display a box that you can type your thoughts in that will permanently be attached to the event and saved in Surveyor. 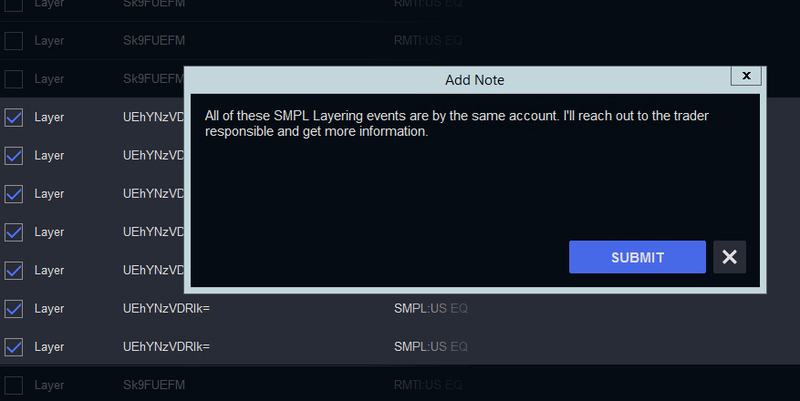 You may also add the same note in bulk to multiple events. To do so, select the checkboxes next to each event you want to flag with the same note, and then enter and submit the note. Need to view a note outside of Surveyor? You can export an event to email. You can also search for events that have notes in Exceptions Reports.